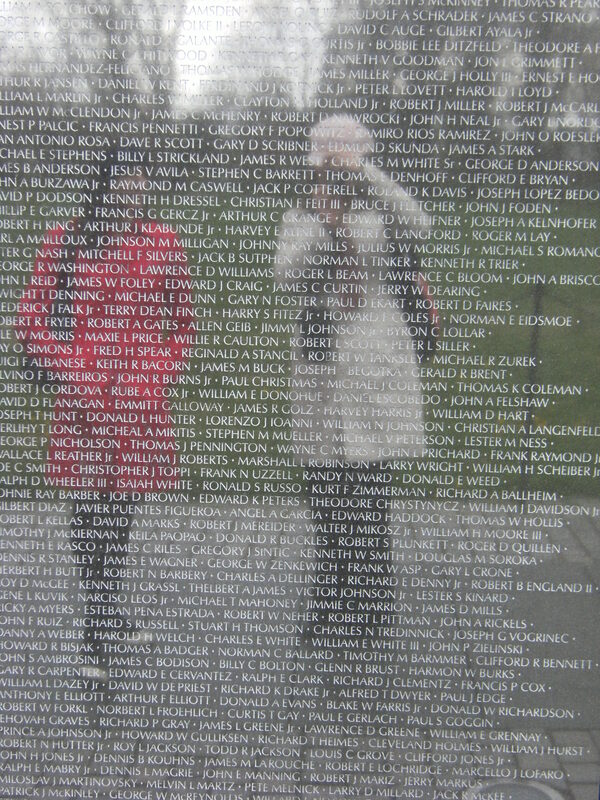 Like many other countries, the USA capital Washington DC features numerous memorials which depict the nation’s military history. The American Civil War is an immediate example; numerous sites and memorials in and around DC commemorate these wars fought between the States in 1860-1864. 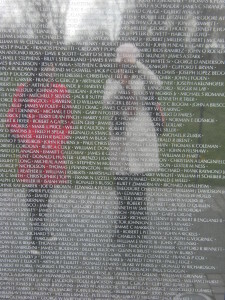 Photos show Ngaire and Lauren visiting the stunning Vietnam Veterans Memorial Wall, Washington DC in 2009. 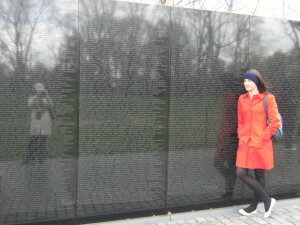 Also, below, Lauren visiting the Memorial to the raising of the flag on Iwo Jima. 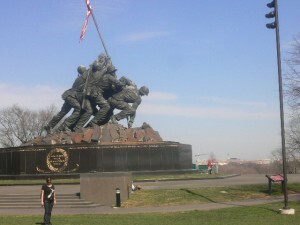 The battle of Iwo Jima occurred between 19 February and 26 March, 1945. 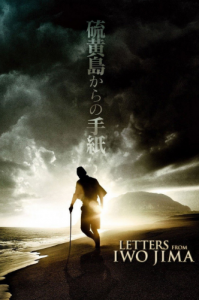 The battle was fought between the Americans and defending Japanese. The flag was raised by USA Marines, once Mount Suribachi was taken, on 23 February, memorialised in the iconic photo taken by Joe Rosenthal. Incidentally, Clint Eastwood’s stunning movie Letters From Iwo Jima tells the story of the battle, from the Japanese viewpoint.